PATNA.JUL:Dr.Ramjee Singh, President, Central council of Homoeopathy met His Excellency Dr. D. Y. Patil, the Governor of Bihar. Dr.Arun Bhasme, Vice president, CCH, Dr.Lalit Verma, Secretary, Dr.M.K.Sahani, Chairman, Education committee, Dr.K.K.Juneja, Chairman, Registration committee, Dr.S.Chandra, President, Bihar Homoeopathic Board also present along with him. 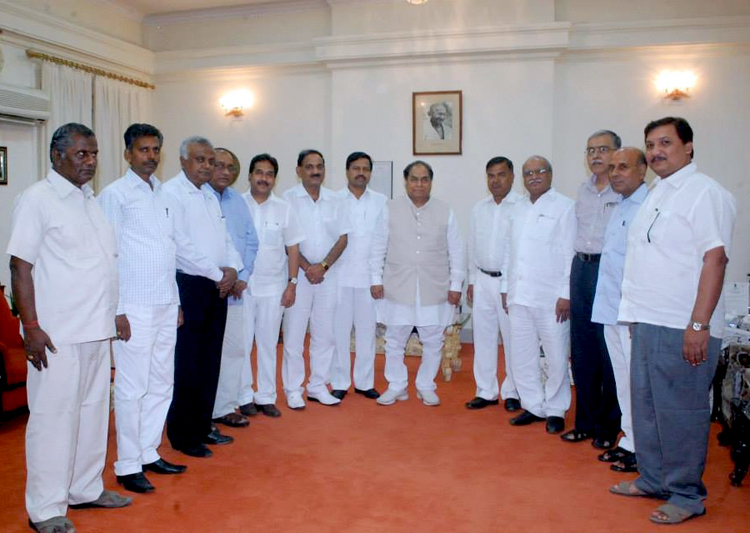 The meeting discussed various developments of Homoeopathy in the state.